Spice things up this Lenten season with these fiery seafood and vegetarian recipes. They are all easy to prepare and pack full of healthy ingredients. Don't let great flavor be one of the things you have to give up this Lenten season. Shrimp is full of healthy protein and it cooks in a matter of minutes. 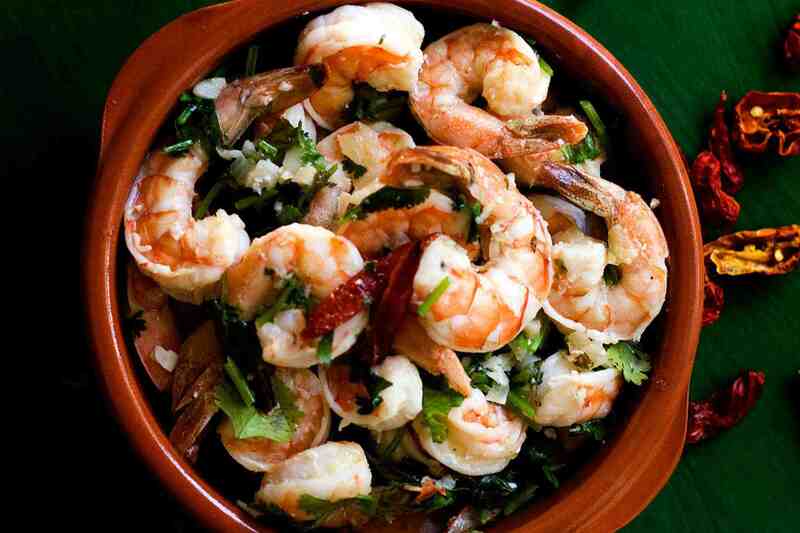 Eaten alongside white rice or with a crusty baguette, this shrimp dish is always a hit. It can be served as a main or side dish, or even as a starter. Give fish a new fresh, light, and healthy touch with this super easy recipe. You can use whatever fish fillets you have in your kitchen and it will be ready in 30 minutes. This recipe is perfect any day of the week. This burger has some amazing ingredients that combined create an insanely delicious and flavourful veggie burger. Did you know that hot sauce can make an amazing marinade for shrimp? It really does --plus it's a great way to use up extra or half-finished bottles. In this recipe, shrimp are skewered and grilled for a fun meal. This fish meal couldn't be easier to prepare! You can have your fishmonger butterfly (any local or seasonal fish and cook it just like in this recipe. You'll impress people at the table with such a delicious meal that looks like it took a lot of work. Do you have someone in your family that can't eat eggs? Make this scramble for them. It is also vegetarian so perfect for lent. A decadent creamy, buttery pasta recipe that is so worth the extra calories. This dish is perfect for a date night with a glass of wine, or for when you just feel like treating yourself. If you feel like a bowl of hearty stew then look no further than this vegan chili (without) carne. All of the spices and ingredients simmering in the pot will bring your kitchen alive with amazing smells. Another delicious and nutritious meals that can be on the table in a hurry. These salmon fillets topped with a smokey, spicy pepper relish are so quick and easy to prepare. Curry doesn't have to have meat in it to be amazing. This curry is light, a bit spicy, full of aromatic spices, and healthy vegetables. There is one simple secret to achieving restaurant-style fried rice, and in this recipe we share it. Make it with shrimp and load up the veggies for a super nutritious meal. Put it together then place it in the oven and forget about it for 25 minutes. This super flavourful and quick meal is great and full of healthy ingredients. The sweetness of pineapple combined with the creaminess of coconut milk and the heat from hot sauce are what make this recipe out of this world delicious. You can it eat for lent and you'll want to cook and eat it all year round.